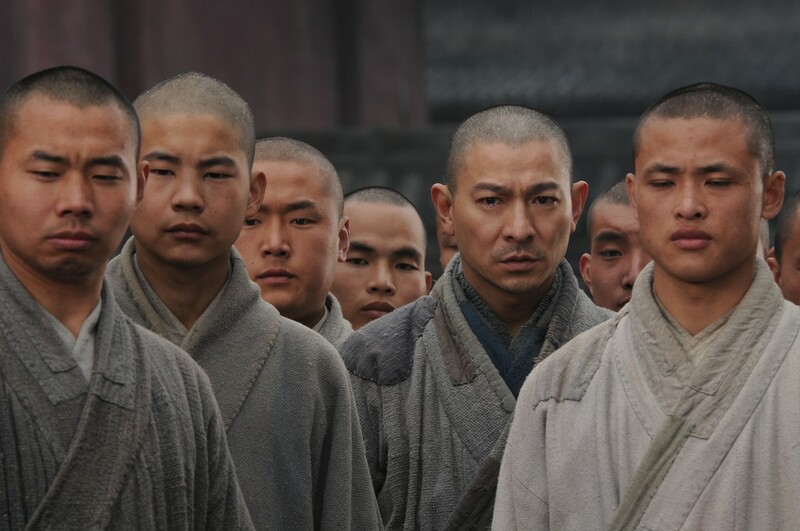 Released in the United States on September 9, 2011, the film “Shaolin” opens on feuding warlords seeking to carve up China among themselves in the 1920s during the early days of the country’s Republican era. 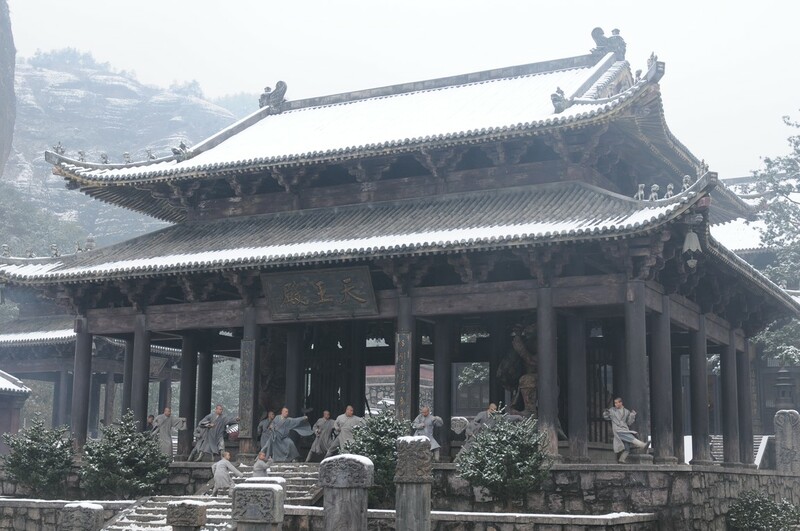 The compassionate and noble monks of the Shaolin Temple struggle to care for and protect the common people, who are caught up in the chaos. 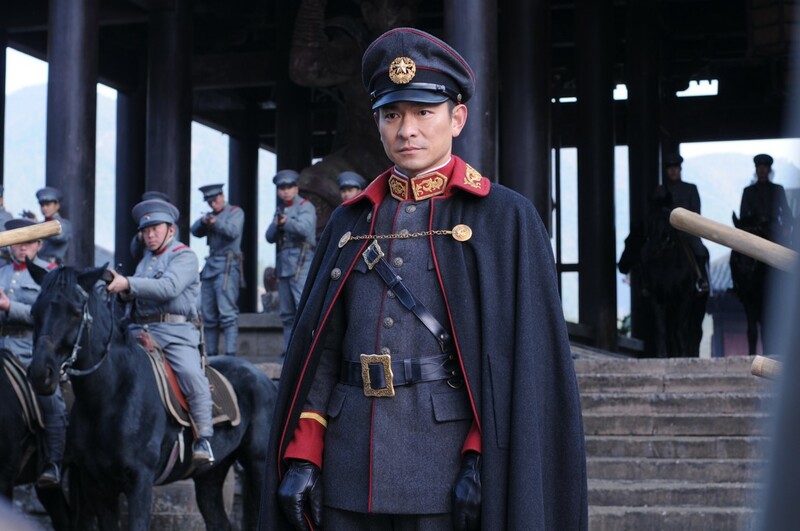 Andy Lau (“House of Flying Daggers”) stars as the Machiavellian warlord General Hou Jie, who is the prime cause of the troubles wracking the region. Hou defeats his rivals and plots to betray his friends. Along the way, he teaches his cruel and able lieutenant Cao Man, played by Nicholas Tse (“The Promise”) lessons about ruthlessness and greed that come back to haunt him. Anticipating betrayal, Hou meets with his sworn brother and fellow warlord Sung Hu (Shi Xiaohong, “Red Cliff I” and “Red Cliff” II). Hou brings his beloved wife and daughter with him to the meeting with Sung and his wife and son as part of a risky gambit to allay Sung’s suspicions. There Hou learns that Sung wishes to arrange a marriage between their children and retire. Before he can decide whether to continue with his betrayal or accept Sung’s proposal, Cao stages his own coup. Meantime, Cao takes over Hou’s former territory and makes a deal with British looters to allow them to dig up national relics and build a railroad unlike Hou who had turned them away. To keep his dealings secret, he massacres the peasants he conscripted as laborers. A group of monks bend their vows to become “righteous thieves” and steal food for the starving people in a B story that gains little momentum. 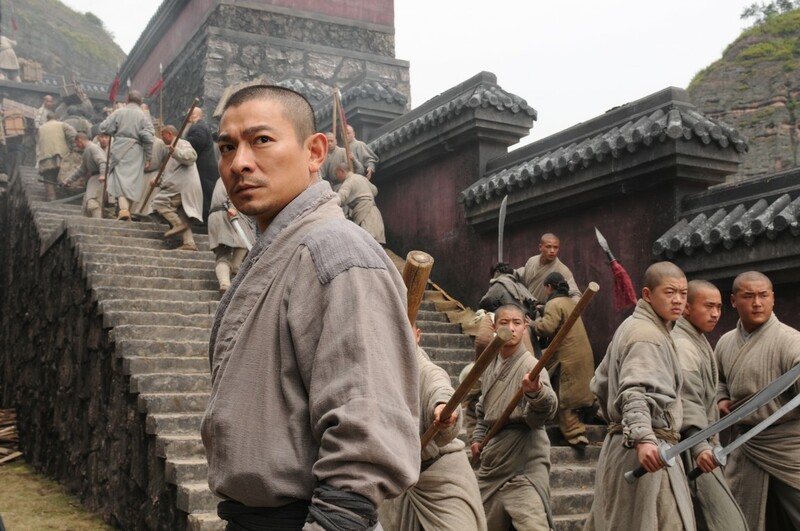 Learning that his former commander is still alive, Cao invades the Shaolin Temple yet again to force a final showdown. Hou, the former sinner, falls literally into Buddha’s hands. 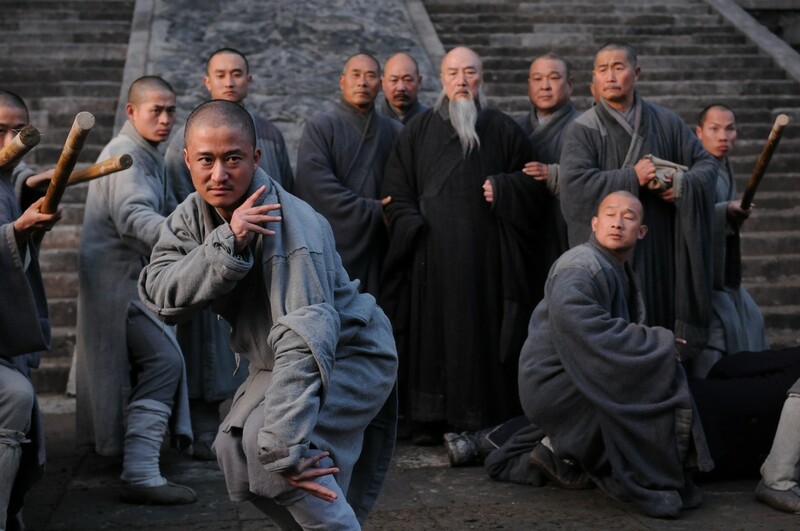 The movie touches as well on the Buddhist ethos of the Shaolin monks and nuns more deeply than usual. The Temple Abbot tells a repentant Hou: "From evil comes suffering. With justice they are gone. If neither are there you're so purified, nothing remains. Understand how to let go first, then you will have no attachments. Do this, and you can confront anything." “Shaolin” serves up an entertaining and poignant story laced with personal redemption, martial arts action, and riffs on Buddhism. The principles of Shaolin culture and practical fighting techniques are taught in martial arts classes held by the Michigan Shaolin Wugong Temple.